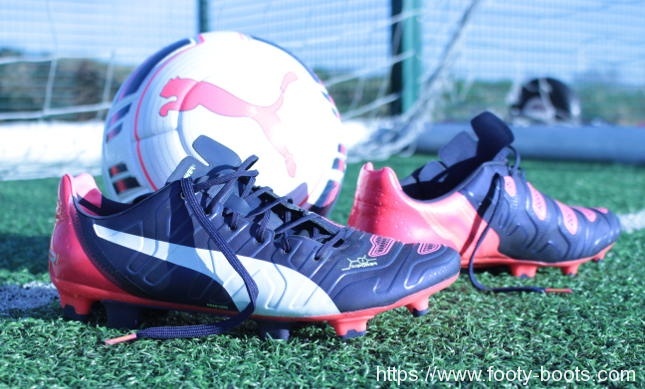 PUMA won no shortage of new fans with the launch of their new evoPOWER silo in 2014 with an aggressive push that basically said everyone else had been doing ‘power’ football boots wrong for decades. 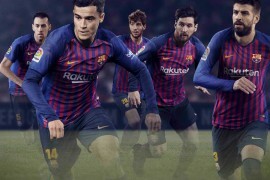 The German brand’s theory was kicking power could be maximised by allowing the foot to flex naturally – and whilst that’s something that’s tough to quantify, players certainly appreciated the comfort and overall performance of these latest football boots. Now the question is – can they build on that? We slipped on the PUMA evoPOWER 1.2 in our latest review to find out. Comfort // Fit – 5/5 : Still a solid option for wide-footed players. 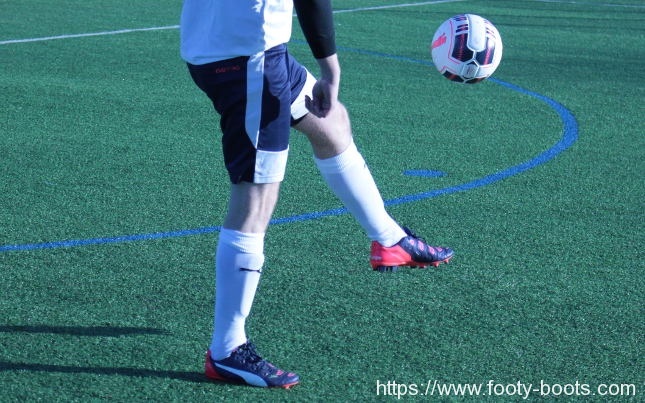 As mentioned in the pre-amble, the PUMA evoPOWER 1 won many plaudits for simply being so gosh-darn comfortable, as well as being an exceptionally viable option for players with wider feet. The flex of the shoe and lightweight design of the last model translate onto the PUMA evoPOWER 1.2, however the upper on the boot is a little stiffer out of the box on first wear. The result is a trade-off; for most players this will result in a more responsive, more supportive fit. However, for players with the widest of wide feet, you might find the 1.2 needs a little more break-in time compared to the original. 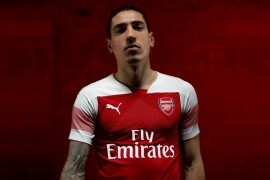 It’s also well worth a note that these football boots use PUMA’s anatomical last – so if your feet have an exceptionally pronounced second or third toe, you might want to look into going half a size up to compensate. As mentioned in our comparison video, the evoPOWER 1.2’s Adap-Lite upper does lose a little of that exceptionally pliable, gel-like finish that it’s predecessor has. That said, it does loosen up significantly over time, and we definitely appreciate the fact that the new GripTex finish offers a definite boost in ball ‘feel’ in wet weather. You’re not going to get as soft a touch on the ball as a natural leather, but in terms of synthetics the evoPOWER 1.2 offers up a similar level of touch to the PUMA evoSPEED 1.2 and 1.3, Mizuno Basara and Magista Opus. Also a boon is the new layout of the AccuFoam cushioning across the upper. Whilst it’s now thinner than ever it’s also more consistent and creases nicely with the foot. 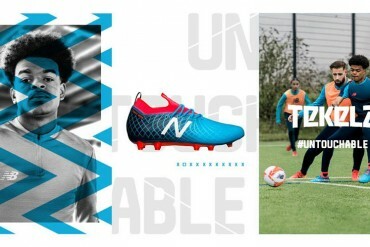 It’s 2015: if you’re making a feature-packed football boot, there should be no shame in adding some design cues that make the boot look futuristic. 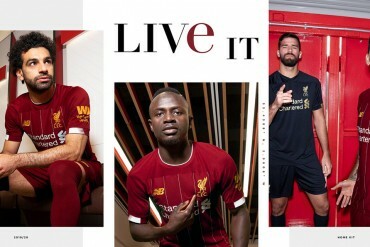 The danger is when designers go overboard, and leave a boot looking like the back of the DeLorean in Back to the Future II. Here on the PUMA evoPOWER 1.2, PUMA have used sublimated graphics and a smart Peacoat / Bright Plasma colourway to keep things tasteful. As with it’s predecessor, during our review time with the PUMA evoPOWER 1.2, the boot proved easy to look after, with the synthetic upper and dark colourway proving a winning combination in the ‘keep it clean’ stakes. However, the Gradual Stability Frame in the outsole is something of a dirt-trap on just about any surface. Thankfully, it doesn’t take any great effort to free it again. 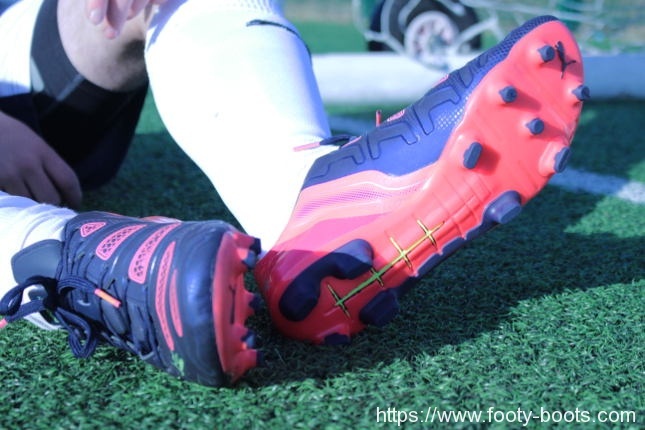 One area concern that is shared by both the last two evoPOWER and evoSPEED football boots is the lack of a toe-guard at the very front of the show, giving us some concerns over the long-term durability in this high-abrasion area. If you play most of your game on synthetic turf, consider a little adhesive to protect this part of the boot. Performance – 5/5 : Does exactly what it says on the tin box. 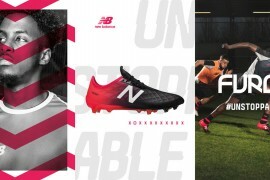 One reason why the fit of the evoPOWER has changed a little between generations is the new layout PUMA have used on the interior of the boot. Rather than an all-over inner liner, PUMA have left the interior of the evoPOWER 1.2 somewhat more exposed. 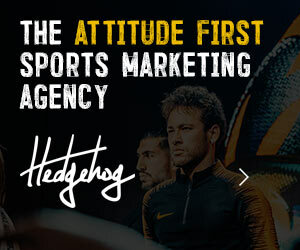 The result is a more satisfying strike as your feet connect with the ball – so even if your shot power isn’t amplified, it very much feels like it. 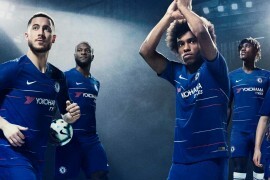 This has also allowed the new AccuFoam layout to work with the lacing system for a support-cage-like effect, so players can expect a more lockdown fit and assured touch on the ball when controlling and passing the ball. As you would expect from the unchanged outsole, traction and stability in this area are very much unchanged; but that’s no bad thing. Stud pressure is minimised and the free rotation under the ball of the foot is very welcome. As always, with the average pricetag for a ‘statement’ release from one of the boot-game’s biggest players is around £150, and that’s pretty much what PUMA have the RRP of the evoPOWER 1.2 set as. 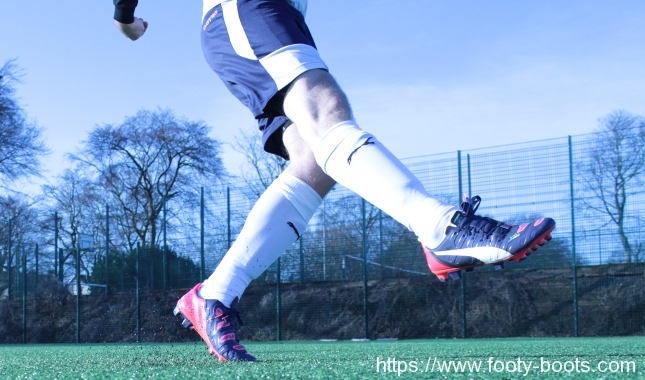 This evoPOWER definitely feels more well put-together on foot, and as long as you’re not dragging your toe along synthetic turf every week, we’d definitely say there’s at least a season to be had out of these football boots. When it comes to the evoPOWER, it would have been easy for PUMA to make a sideways move; a re-skin or re-paint would definitely have kept the evoPOWER 1 going for at least another year. 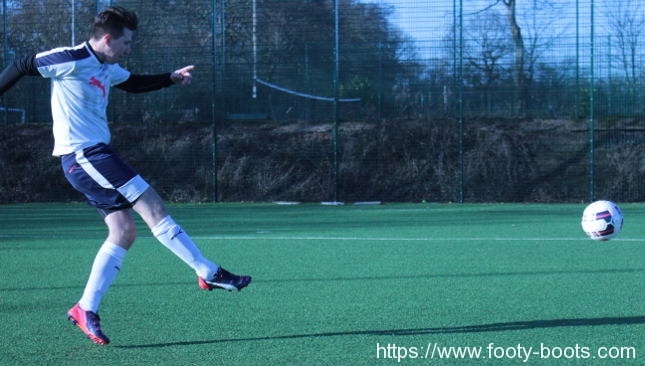 But, the evoPOWER 1.2 does change up the formula, with a more supportive, lockdown feel that will make this range an appealing prospect for plenty of players of just about all positions. 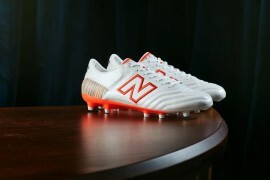 It might not be a caveat-free recommendation to players with super-wide feet any more, but they’re a solid step up from the Big Cat on their most exciting range of boots. Hmm…. excellent review style. So I can safely assume that the 1.2 is a step up over its predecessor? Yeah, it definitely is. At first we were a little on the fence as to whether it was a sideways move, but the more time we got with it, we appreciated the slight tweaks to the fit, the new upper and the less ‘slippy’ feel afforded by the Griptex. As mentioned, there’s a bit of a caveat attached for players who have super wide feet, but most people will find them a step up. Dear Mr Elliot, PUMA say that these boots will help you to shoot harder. Hence, did you really feel more power in your shots, or is it more of a gimmick? No need to be so formal! That’s tough to answer – I don’t have the equipment to say whether any boot actually helps you shoot harder, obviously. But, the slightly more supportive, thinner upper and the new Accufoam pattern gives a very satisfying contact on the ball. You know when you catch a ball ‘sweet’ and it just seems to be travelling faster? It felt more like that, more often in the 1.2 vs. the evoPOWER 1! You can use the Adidas Smart Ball to measure shot power. 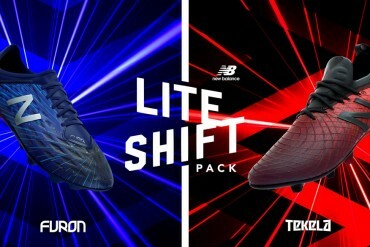 Comparing these to the Predator Instinct, between Adidas and Puma, which one do you think has hit the jackpot, or is feh closest to? We actually had to ship the SmartBall back to adidas after the review, so it’s not kicking around anymore! Kyle, there is something called the v-max that measures the power of your shots, based on speed of the shot measured at km/hour. 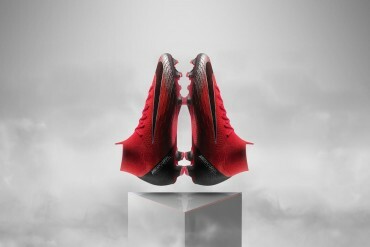 You might want to try that and see if the Instinct or evoPOWER works more… em…. effectively. So it drops 7 points but gets 23/50. Right. Of all the places to make a typo, eh? Good catch – updated! 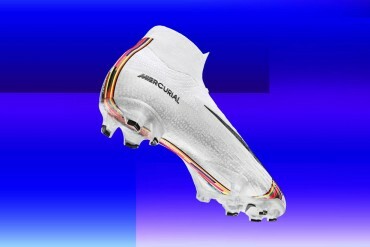 I won these boots in a competition, are they going to suit me? I play up front/in the CAM role. 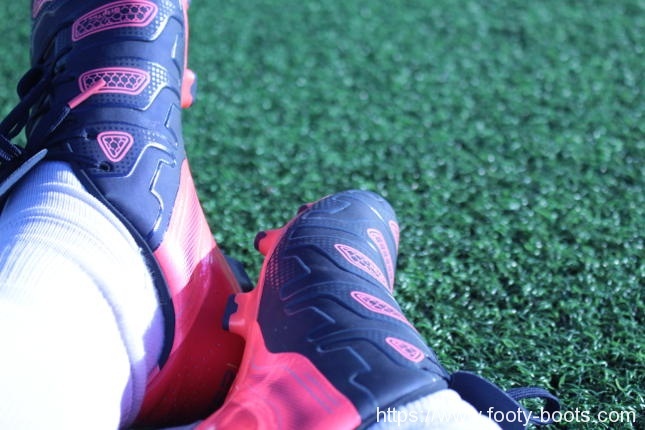 You should not decide which boots are for you based on your playing position. Back to your question……. They are definitely going to suit you, especially if you shoot a lot because they feel really comfortable. As mentioned, they’re great all across the park. 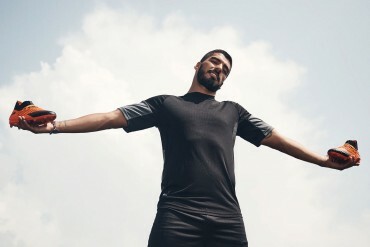 You’ve got ‘keepers, defenders, mids and strikers wearing these at the moment – they’re comfortable and versatile, I think you’ll get on just fine in them! and dribble comfortably in. which of the two would you recommend? If you could help me out I’d greatly appreciate it, thanks! I just bought these but I’m getting more concerned that the toe area will separate from the boot (a problem I have had with both Adidas boots prior and 100% of my football is on artificial pitches). You mention a bit of adhesive on the toe area to prevent the sole separating from the upper, can you elaborate on this?